SAEZ, F.; SANCHEZ-GOMEZ, P.; PIQUERAS, A. (1994). 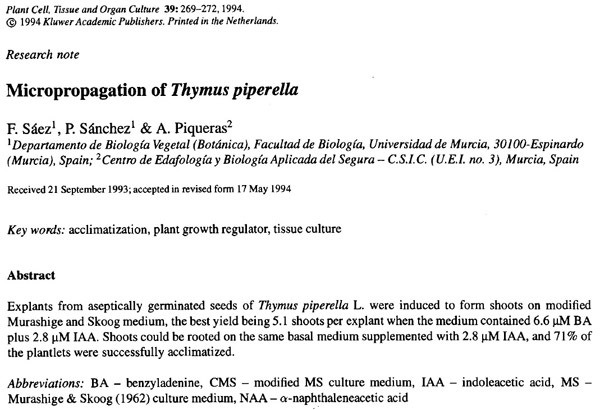 Micropropagation of Thymus piperella. Plant Cell Tissue and Organ Culture, 39: 269-272. SAEZ, F. (1995). 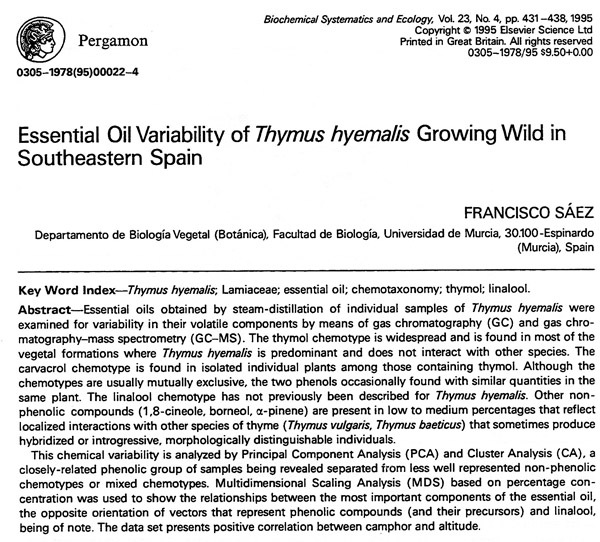 Essential oil variability of Thymus hyemalis growing wild in Southeastern Spain. Biochemical Systematics and Ecology, 23(4): 431-438. SAEZ, F. (1995). 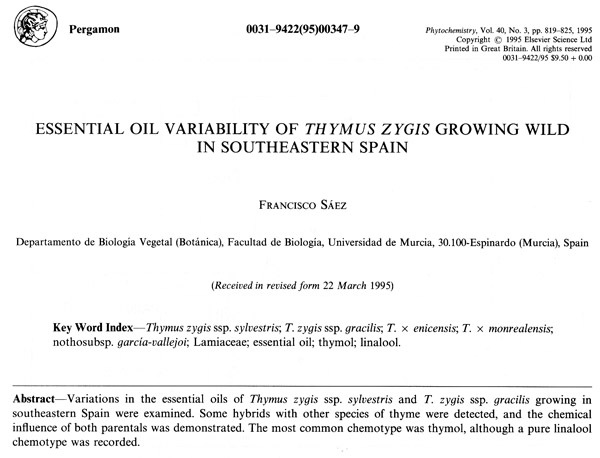 Essential oil variability of Thymus zygis growing wild in southeastern Spain. Phytochemistry, 40(3): 819-825. SAEZ, F. (1998). 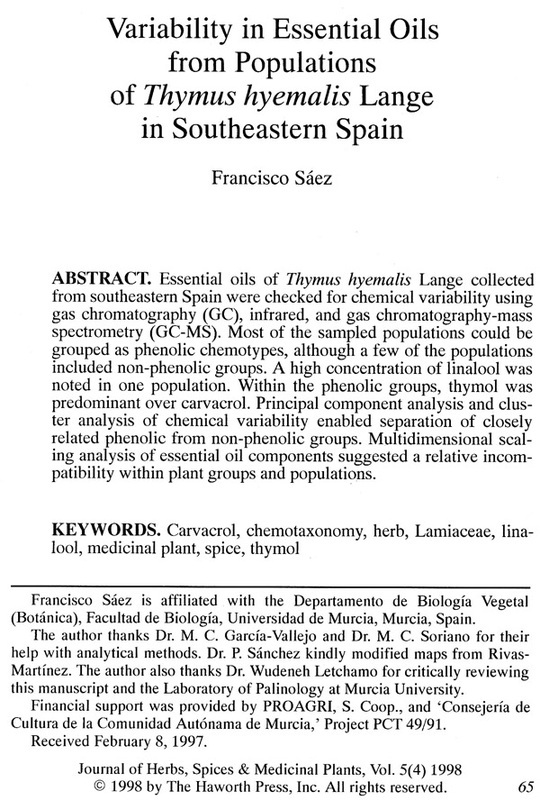 Variability in essential oils from populations of Thymus hyemalis Lange in Southeastern Spain. Journal of Herbs, Spices & Medicinal Plants, 5(4): 65-76. SAEZ, F. (1999). 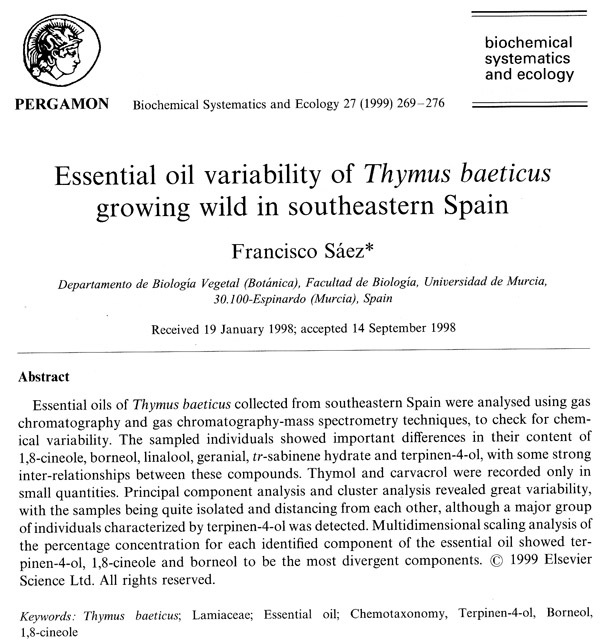 Essential oil variability of Thymus baeticus growing wild in southeastern Spain. Biochemical Systematics and Ecology, 27: 269-276. SAEZ, F. (2001). 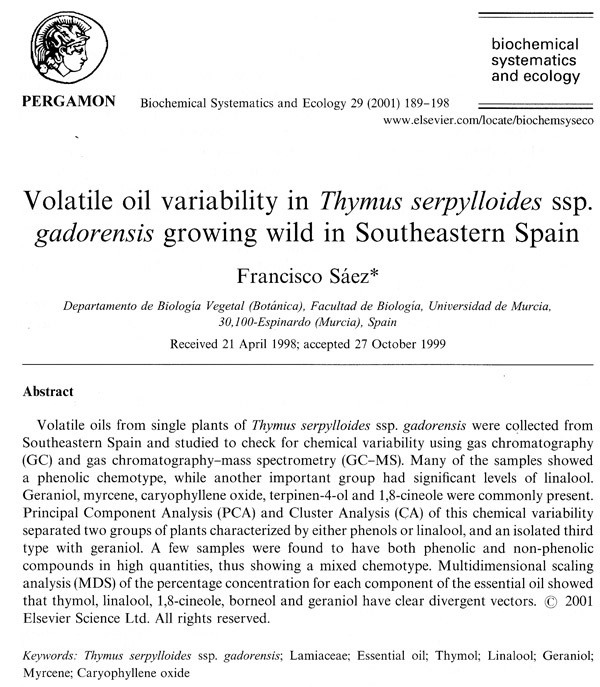 Volatile oil variability in Thymus serpylloides ssp. gadorensis growing wild in Southeastern Spain Biochemical Systematics and Ecology, 29:189-198.